Our nursery rooms are an extension of your home and we strive to create a warm, comforting, and welcoming environment. Guided by routines provided by our families, we cater to the individual needs of the child. We want all our little friends to feel happy and safe. This helps them develop their social and emotional skills, while also focusing on creativity and gross and fine motor skills. Our learning in the nursery room is filled with lots of hands on sensory experiences, such as playdough, shaving cream, bubbles, water, paint and lots more. We like our children to experience the world with their hands and encourage exploration and enquiry. We want our youngest children to form warm bonds with their friends and educators in a positive, safe and happy environment. Our busy toddlers spend their days playing, learning and socialising with their friends. In the toddler room we encourage independence and help to build resilience and self-awareness. 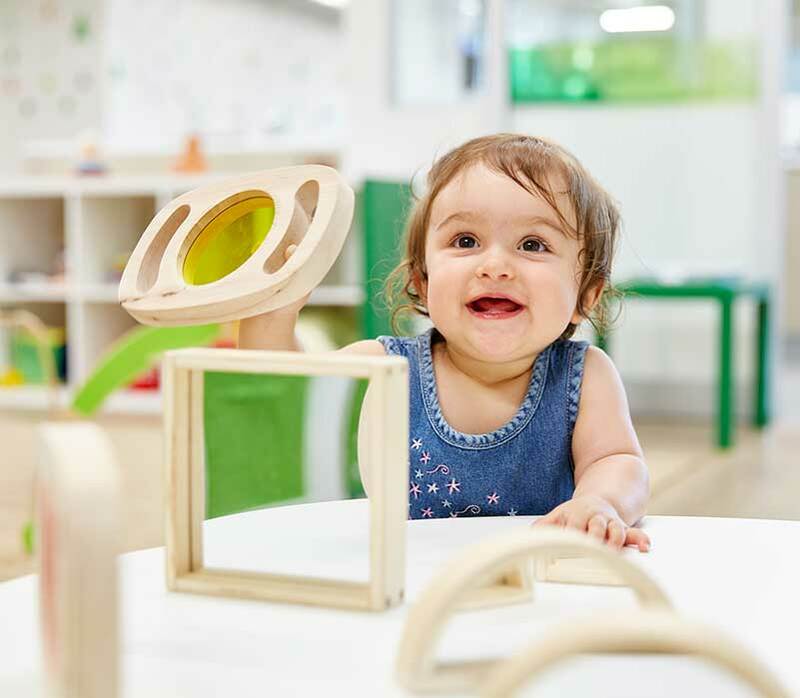 By the age of 2 our children are forming reciprocal relationships and we aim to assist them to navigate the concepts of sharing, turn taking and playing alongside their peers in a harmonious and fun environment. In our toddler rooms we want to support our children with their continuously developing self-help skills, such as toilet training, feeding themselves, putting clothing on and packing away. Our program is based on children’s emerging interests and based on fostering early literacy and numeracy skills. Children are supported in their learning through small and large group times. Our daily routine consists of teacher initiated learning as well as free outdoor and indoor play. 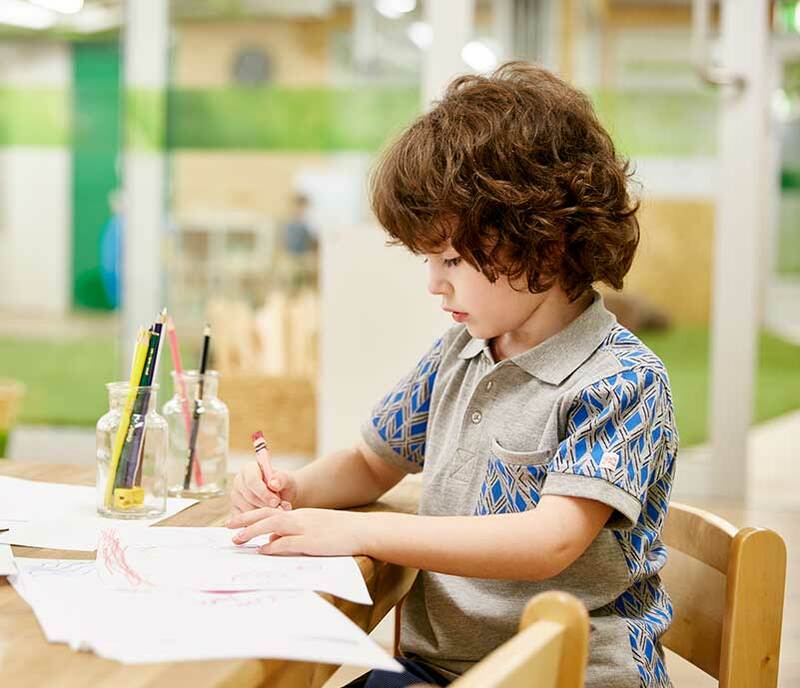 Our preschool program is developed for children aged 3 – 6 years and we focus on small group experiences throughout the day which cater to different needs, age groups and interests. 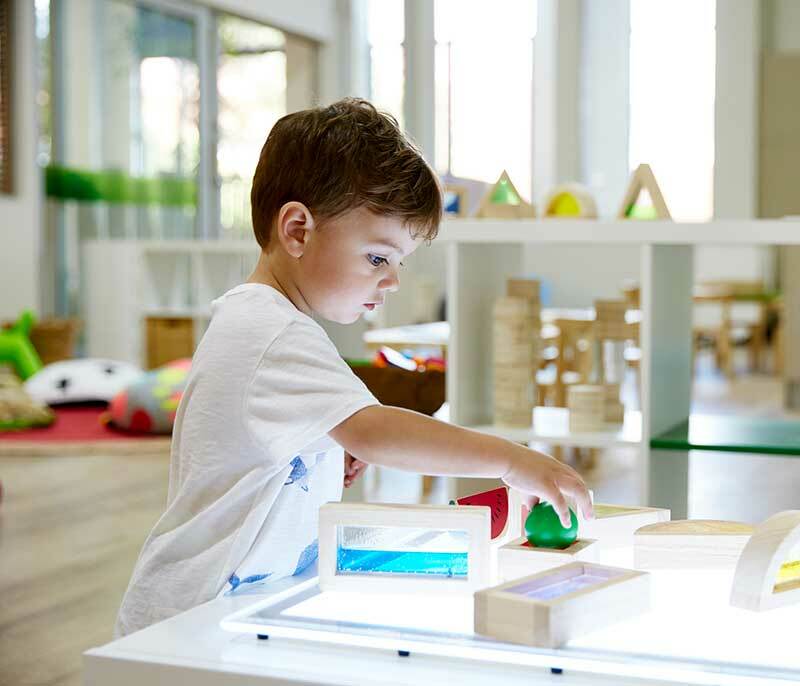 Our preschool program is guided by the children’s interests which shape our play based curriculum. This is combined with educator implemented objectives and engaging hands on experiences. We aim for children to be independent and capable learners, and believe that we support this by encouraging self help skills. By empowering children to play, enquire and involve themselves in their learning, we allow our educators to better shape the routine around them. Educators utilise conversations with the children one-on-one and in group experiences, to scaffold and extend the children’s forever developing busy minds.